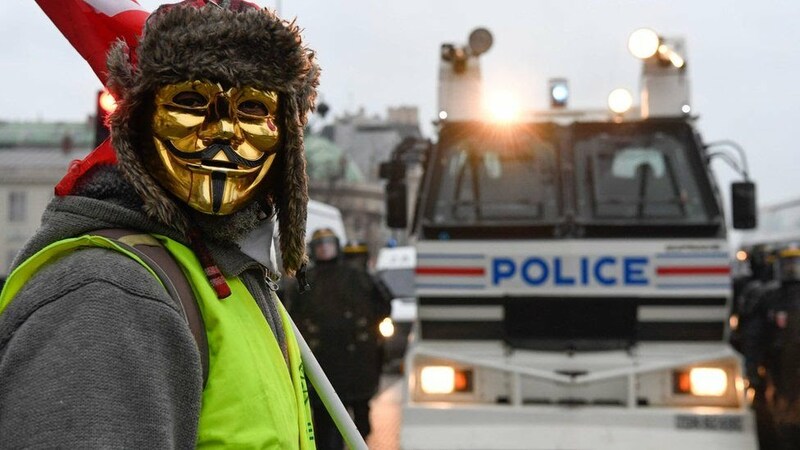 Protests against fuel tax erupted on 17 November when people across France donned high-visibility vests, giving them their nickname the “gilets jaunes” (“yellow vests”), and went out to disrupt traffic. Similar actions have followed every weekend and while the number of demonstrators has dropped, cities across France continue to see rioting and disruption. At least six people have died and at least 1,400 have been injured as a result of the unrest. What measures does the government plan to take? 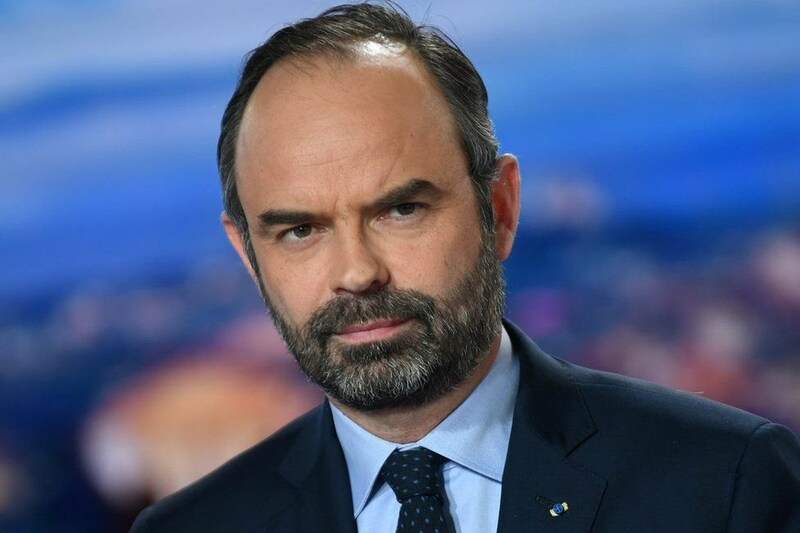 Speaking on French TV channel TF1, Prime Minister Philippe said the government would support a “new law punishing those who do not respect the requirement to declare [protests], those who take part in unauthorised demonstrations and those who arrive at demonstrations wearing face masks”. Known troublemakers would be banned from taking part in demonstrations, in the same way known football hooligans have been banned from stadiums. The onus would be on “the troublemakers, and not taxpayers, to pay for the damage caused” to businesses and property during the protests. What began as anger over green tax on vehicle fuel has grown into more general discontent with the leadership of President Emmanuel Macron, who protesters accuse of favouring the urban elite. “Those who question our institutions will not have the last word,” Mr Philippe said on Monday. 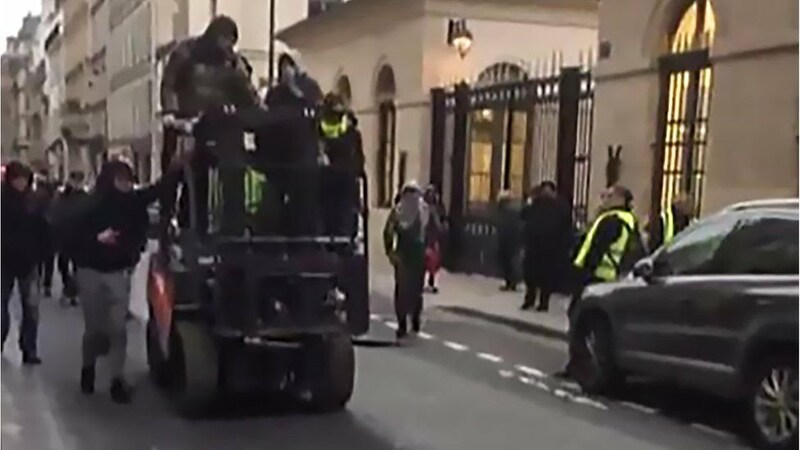 In a sign that the government was taking a harder line, police arrested one of the protest leaders, truck driver Eric Drouet , last week for organising an unauthorised demonstration in Paris. Senator Bruno Retailleau welcomed the news of the prime minister’s plans , writing on Twitter that “hooded” troublemakers who participated in protests “must be severely punished”. Meanwhile left-wing leader Jean-Luc Mélenchon said the planned measures would mean that “demonstrators can no longer demonstrate” . In a Twitter post, he described Mr Philippe as the “king of the Shadoks”, a reference to bird-like cartoon characters featured in a popular French TV series and known for their ruthlessness. Just how bad has the violence got? 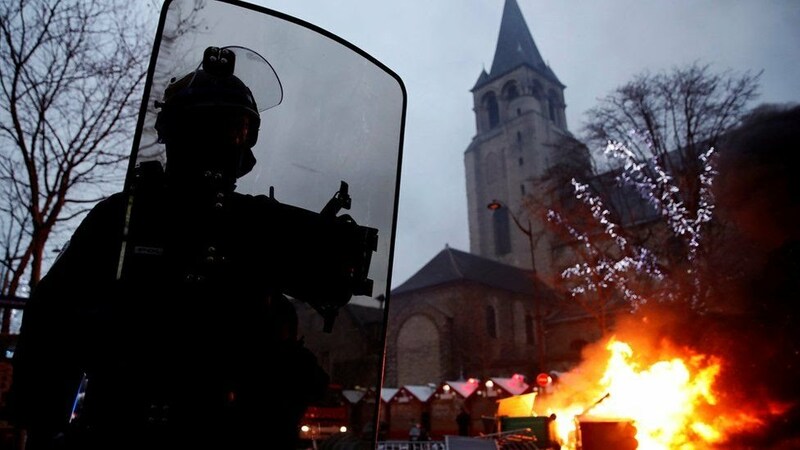 Other cities like Rouen and Caen also saw rioting and in all some 50,000 people took to the streets across the country (compared with the 280,000 who turned out in November). 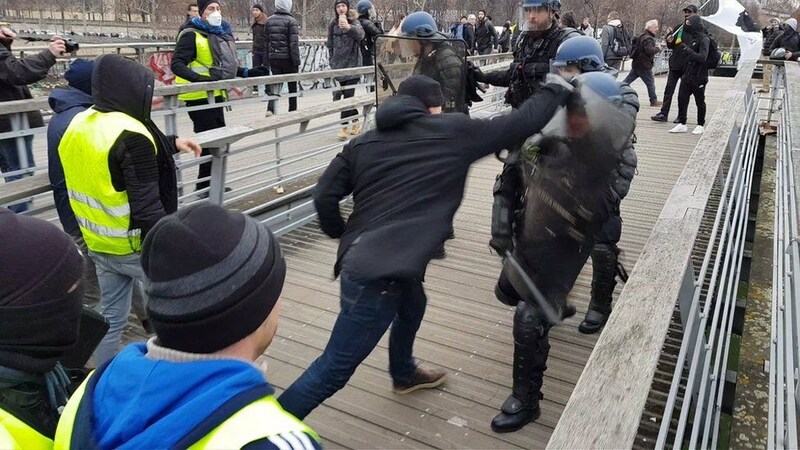 Investigations are under way after video also emerged of a police commander hitting people during a protest in the southern city of Toulon. President Macron made some economic concessions in December in a bid to appease the protesters but he struck a defiant tone in his new year address , saying the government would push on with its reform programme, and would “make no allowances in guaranteeing public order”.